Tandem is always looking for skilled and experienced drivers to expand their career in Transportation. New opportunities are always available and with our top of the line equipment, we have the right tools to help you get the job done safely. We have opportunities for drivers to be HOME EVERY NIGHT (in Michigan) or operate over the road and generate 120,000 miles or more. Select from various pay packages based on pay per mile or salary plus options, depending on the type and amount of work you perform. Tandem is truly a "family" and we look forward to hearing from you and reviewing your application. Thank you and be safe! Our online version. Here you can enter your information on the site form, and submit it electronically right to a Tandem Manager for review. Easily done from your smartphone or any other device, to make applying at Tandem as simple as point and click. Please take your time in filling out the application, to ensure your information is accurate and complete. Please provide any and all addition address's you have lived at for the past 3 years. What trailer type would you like to operate. If you answered to either A or B please enter details here. Date of Last DOT physical. If it was a Tandem Employee please tell us who! Name, Address and contact person. Straight Truck, Type of Equipment, Dates. Have you received any safe driving awards? Have you received and special training or courses? List the states you have operated in the past 5 years. **DISCLAIMER** With my signature and/or submission of the forms above, I hereby authorize the release of requested information regarding my past employment, accidents and motor vehicle reports, to Tandem Specialized, Inc, including all information of my alcohol and controlled substance testing/training records, as specified by DOT regulations 382.413(b). I agree to hold my past employer harmless in regards to any information obtained. I further authorize that a copy of this document is as acceptable as the original. Tandem Specialized, Inc is authorized to request and receive any and all records concerning my criminal record(s). I hereby declare the above information is complete and accurate to the best of my knowledge and belief. I agree that my employment is based on the facts that I have given and any intentional misrepresentation on my part will constitute a release to the employer for any liability that he may encounter by having acted on such facts. I hereby authorize Tandem Specialized, Inc. to investigate and verify the facts claimed by me on this application. In the event of employment, I understand that falsification, misrepresentation, or omission, of information give in my application or interview(s) may result in denial of employment or immediate discharge. It is understood that this application for employment in no way obligates the employer to employ me. It is also understood that, if hired, my employment will always be of an “AT-WILL” nature, which means that the employee may resign at any time with or without notice and the employer may discharge the employee at any time with or without cause. Application will be active for 45 days. By signing this field you agree to all information provided. If you would like to download and/or print an application, please choose this option. It allows applicants to view an online .pdf form, and either choose to fill it out on your device or download/print to finish later. This form will open in a new window. If you have any questions or issues opening the form, please let us know by using the contact us form located here. Please mail, fax or scan completed applications back to us, so that we may review them and contact you as soon as possible. With my signature and/or submission of the forms above, I hereby authorize the release of requested information regarding my past employment, accidents and motor vehicle reports, to Tandem Specialized, Inc, including all information of my alcohol and controlled substance testing/training records, as specified by DOT regulations 382.413(b). I agree to hold my past employer harmless in regards to any information obtained. I further authorize that a copy of this document is as acceptable as the original. Tandem Specialized, Inc is authorized to request and receive any and all records concerning my criminal record(s). I hereby declare the above information is complete and accurate to the best of my knowledge and belief. I agree that my employment is based on the facts that I have given and any intentional misrepresentation on my part will constitute a release to the employer for any liability that they may encounter by having acted on such facts. I hereby authorize Tandem Specialized, Inc. to investigate and verify the facts claimed by me on this application. In the event of employment, I understand that falsification, misrepresentation, or omission, of information give in my application or interview(s) may result in denial of employment or immediate discharge. It is understood that this application for employment in no way obligates the employer to employ me. It is also understood that, if hired, my employment will always be of an “AT-WILL” nature, which means that the employee may resign at any time with or without notice and the employer may discharge the employee at any time with or without cause. Application will be active for 45 days. 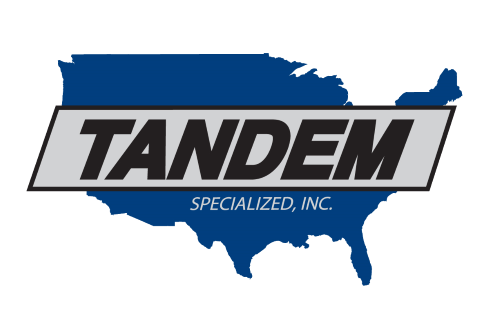 Tandem Specialized Application for CDL Drivers and career employment.